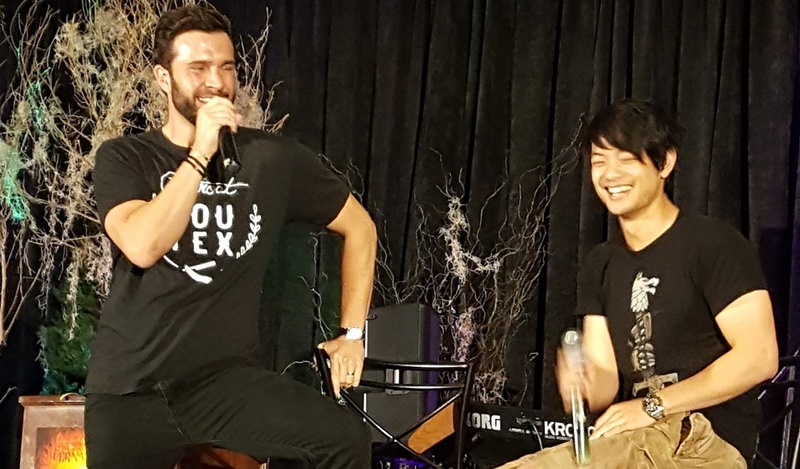 Supernatural’s Gil McKinney and Osric Chau – On Writing Books, Releasing New Music and New Seasons of Television! “30 Miles from Nowhere” – Starring Rob Benedict (Chuck/God) – Launches IndieGoGo Campaign! Rob was also featured in Nerds and Beyond as they wished him Happy Birthday [to] Rob Benedict – See Our Top Rob Moments! It's been a big week for Ty Olsson (Benny Lafitte). He has received a best actor nomination for his work in A Surrogate's Nightmare. Ty's film FTL continues to be rolled out at showings around the world. See the trailer for Skylander's Academy, Felicia Day's (Charlie Bradbury) new series. Chad Lindberg's (Ash) new film Security, is out in theaters. Antonio Banderas is a security guard who protects an 11-year-old girl witness in “Security.” Antonio Banderas is “Eddie” a former Marine Captain going through rough times but gets a job as a mall cop. While going about his routine, he sees a US Marshall convoy ambushed by armed mercenaries. He then discovers that the convoy has Jamie (Katherine de la Rocha), an 11-year-old girl who is a trial witness. Gabriella Wright, Ben Kingsley, Liam McIntyre, Shari Watson, Chad Lindberg, Jiro Wang, and Cung Le star in the film alongside Banderas. A.J. Buckley's new series Seal Team, premiers this week. Jim Beaver (Bobby Singer) Launches Campaign with Stands! Mark Pellegrino (Lucifer) is raising money for Attitudes in Reverse with a special showing of his film, The Last Train. Lauren Tom (Linda Tran) started a Facebook page. Her first post was for her fundraiser for Homeboy Industries.